This whole month is dedicated to the wines of Rioja, and three of them are from Beronia. This here is their 2014 Crianza, then I'll do their 2012 Reserva, and then their 2008 Gran Reserva. 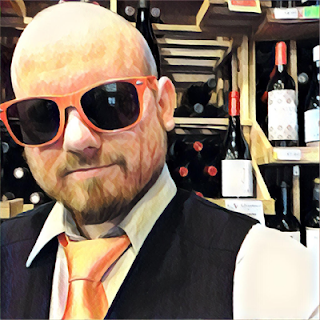 Because I will be reviewing so many wines this month, I'm going to keep the reviews short and sweet. The 2014 Crianza is 91% Tempranillo, 8% Garnacha, and 1% Mazuelo. After being harvested the grapes undergo a few days of cold maceration, and then fermented at low temperature with periodic pumping. It sees twelve months of aging in barrels of American oak staves and French oak tops, then three months of bottle aging. it has a 13.5% ABV. The wine is cherry red in color. On the nose there's a minerality of cracked stone above aromas of rose petals, cherry cola, brown spices, and licorice. On the palate it's light bodied with soft tannin and an uplifting acidity. There's flavors of tart red berries, strawberries, cinnamon and dried herbs. It finishes with mouth-watering acidity and flavors of stawberries and cinnamon. This is a delicious Crianza whose liveliness lifts it above being a basic one, and it would be a great summer red when given a slight chill. I absolutely recommend it for $15! 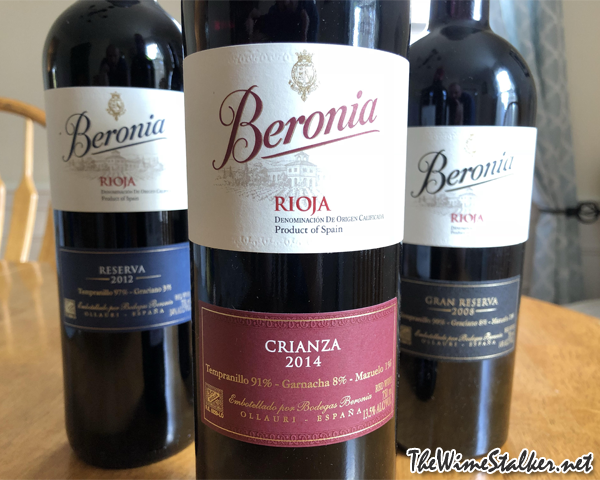 I really like this review and excited about Beronia Rioja Crianza.